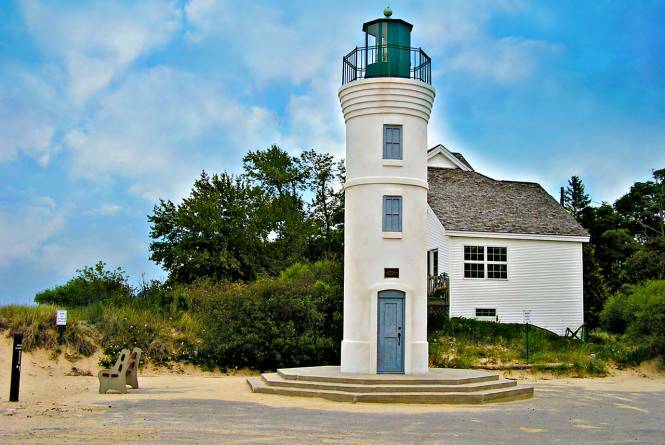 Robert H. Manning was a life-long resident of Empire who spent as much time as possible indulging his passion for fishing on Lake Michigan, and longed to see a lighthouse built at Empire for returning fishermen. 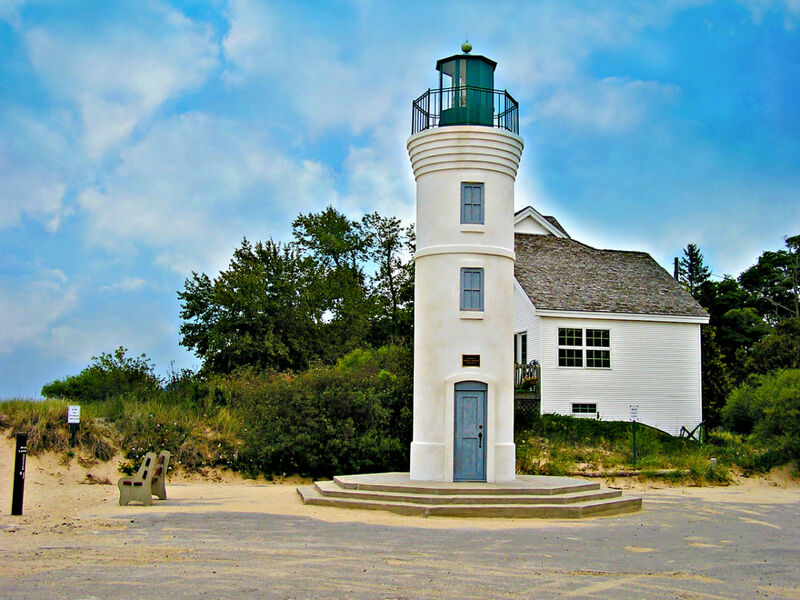 After his death in 1989, Manning's family and friends raised money to build this tiny lighthouse on the beach. It's not an official nautical lighthouse, and no tours are available, but people love to have their pictures taken with it.